Boston: In late 2017, researchers from Boston University School of Medicine (BUSM) discovered and published (Science Translational Medicine, (9) 417, Nov 2017) a potential treatment target to prevent chronic kidney disease (CKD) patients from developing thrombosis (blood clots) without causing bleeding complications. They found that boosting a regulatory protein named STUB1 decreased the abundance of tissue factor (TF) and prevented blood vessel blockages in experimental models. Now, these same researchers have tested other aspect of this hypothesis in humans with promising results. 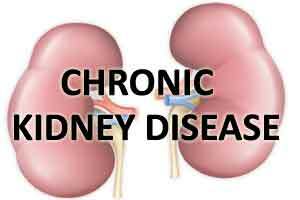 Chronic kidney disease is associated with the buildup of urea in the blood and leads to accumulation of “uremic” solutes, which was thought to result in cardiovascular toxicity including thrombosis. Led by BUSM senior author and senior co-author, Vipul Chitalia, MD, PhD, associate professor of medicine, and Katya Ravid, DSc, professor of medicine and biochemistry, an interdisciplinary team expanded their previous study using two independent human cohorts in which blood plasma was analyzed for uremic solutes that are tryptophan byproducts such as indoxyl sulfate (IS) and TF activity, among other tests. Tryptophan is an essential amino acid, meaning the body cannot synthesize it, and must be obtained from the diet. Using cutting-edge machine learning approaches, the researchers analyzed samples from 473 participants of the Dialysis Access Consortium Clopidogrel Prevention of Early AV Fistula Thrombosis trial with advanced CKD, as well as 377 baseline samples from participants in the Thrombolysis in Myocardial Infarction II trial, many of whom had CKD stage 2-3. “Both groups showed an association between blood clotting and the level of IS as well as TF activity. They also found another association between patients who had clots with higher levels of kynurenine, which is another uremic solute found in patients who developed blood clots in surgically created passageways between an artery and a vein, known as arteriovenous fistula,” explained Chitalia. Overall, this work confirms the effects of uremic solutes in humans and shows that a set of uremic solutes strongly influences thrombosis in patients with different levels of kidney function. “The translation of findings from experimental models to humans can be challenging. However, this human validation of tryptophan metabolites-TF axis supports further studies probing its utility in risk stratification of CKD patients and exploring its role in other diseases with the heightened risk of thrombosis,” said Ravid.